Suretrack package contains 14 clips which is enough to clip a typical figure 8 layout. 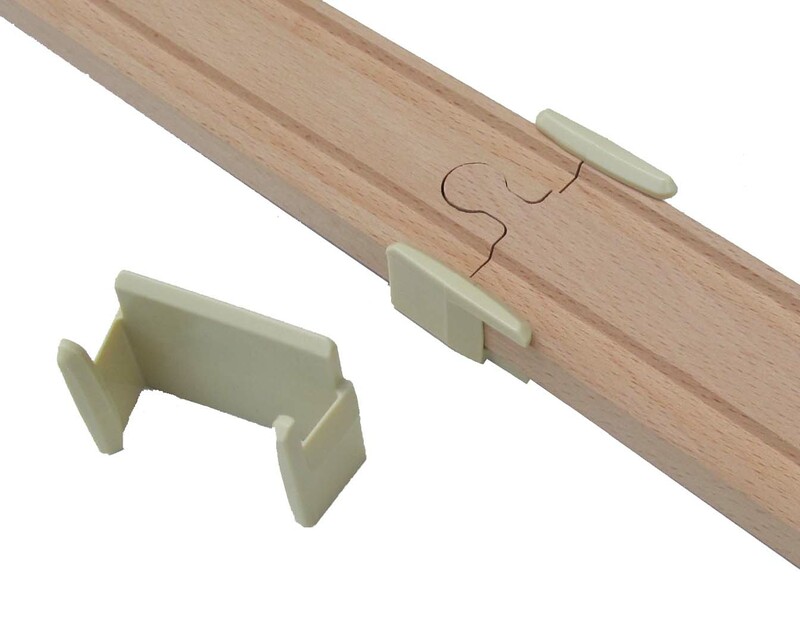 SureTrack Clips are used with Thomas wooden track, Brio wooden track, and most other compatible wooden track systems. 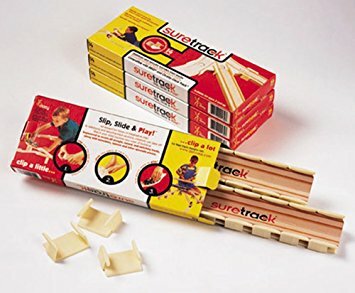 SureTrack Clips snap onto adjoining track pieces to secure and stabilize the interlocking pieces. When it's time to change or take down your layout, the clips easily come off and can be used again. SureTrack enables play on uneven surfaces, including carpet. 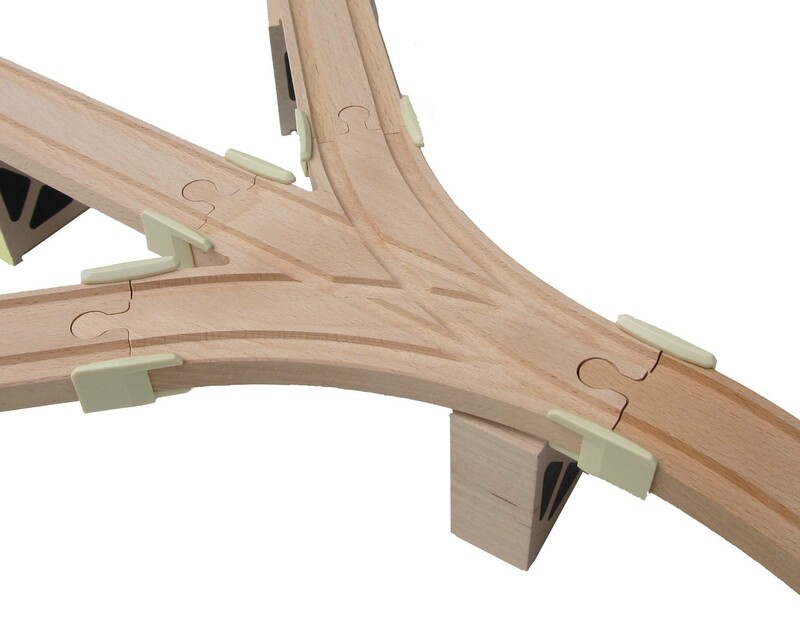 It is great for stabilizing complex and multi-level track designs.